Ride a high-speed bullet train from Taipei to Kaohsiung, then continue by coach to Kenting National Park, with scenic stops at the Oluanpi Lighthouse and Maobitou. Stay overnight in Kaohsiung and explore the city on a sightseeing tour with onboard commentary by your knowledgeable guide. You’ll discover southwestern Taiwan’s must-see attractions as well as hidden treasures of the region on this 2-day tour, including Chengcing Lake, the Spring and Autumn Pavilions and the historical site of the former British Consulate. Experience the best of southwestern Taiwan on this 2-day sightseeing tour of Kaohsiung and Kenting National Park. A high-speed bullet train whisks you away from bustling Taipei through scenic mountain terrain while a guide takes you sightseeing in the region aboard a comfortable coach. Enjoy 4-star overnight accommodation including breakfast and round-trip hotel transport. Day 1: Taipei – Kenting National Park – KaohsiungCoach pickup from your hotel will take you to the Taipei Railway Station, where you will board the high-speed bullet train to Kaohsiung. Enjoy this convenient, scenic way of traveling as you speed through Taiwan at 186 mph (300 kph) and reach Kaohsiung in 1.5 hours. 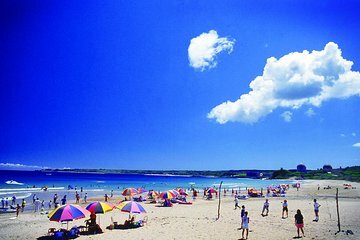 Upon arrival, board the bus and pass quaint towns, scenic mountainous regions and flowing rivers on the way to Kenting as you listen to your guide’s entertaining anecdotes. After your 2-hour journey, reach Kenting National Park, Taiwan’s southernmost park, and enjoy gorgeous views of the Pacific Ocean, Taiwan Strait, Luzon Strait and the surrounding plains. On your drive through the park, make stops at several places including the Oluanpi Lighthouse and Maobitou, where you can explore by foot with your guide. Afterward, you will be dropped off at your hotel in Kaohsiung. The time for meals is flexible and is based on your group’s sightseeing schedule. Meals can be enjoyed at local restaurants with your fellow travelers (own expense). 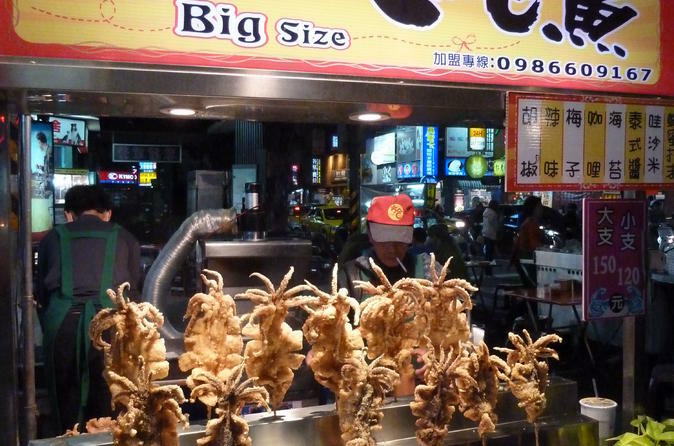 Day 2: Kaohsiung – Taipei (B)Today after breakfast, see many of Kaohsiung’s top attractions on a bus tour of the city. Step off the coach with your guide at several stops, like the site of the former British Consulate and the Spring and Autumn Pavilions, a Taoist temple complex by Lotus Lake. Then, explore the area around Chengcing Lake, an artificial lake that is a large water source for the region, and see gorgeous pagodas and other recreational areas. After a full day of sightseeing, you will be transferred to the Kaohsiung Station for a return trip back to Taipei on the bullet train. Upon arrival, board your coach to return to your Taipei hotel.